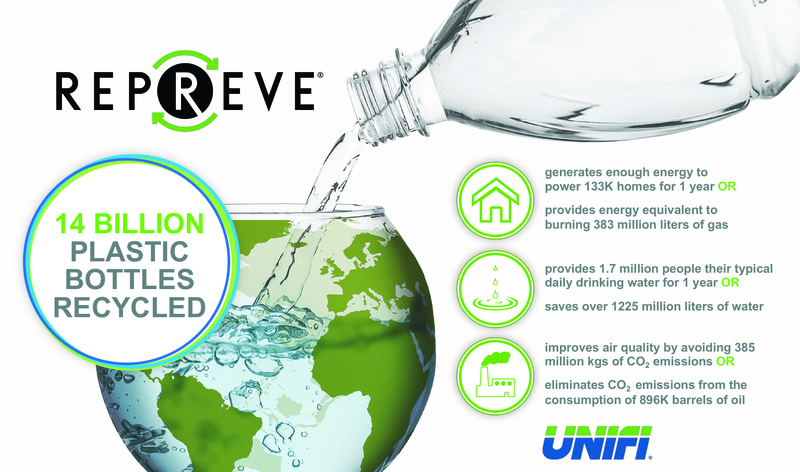 At Unifi, we transform plastic bottles into REPREVE® performance fiber. At the same time, our industry is transforming itself into a leader in sustainability. And we’re ready to celebrate. 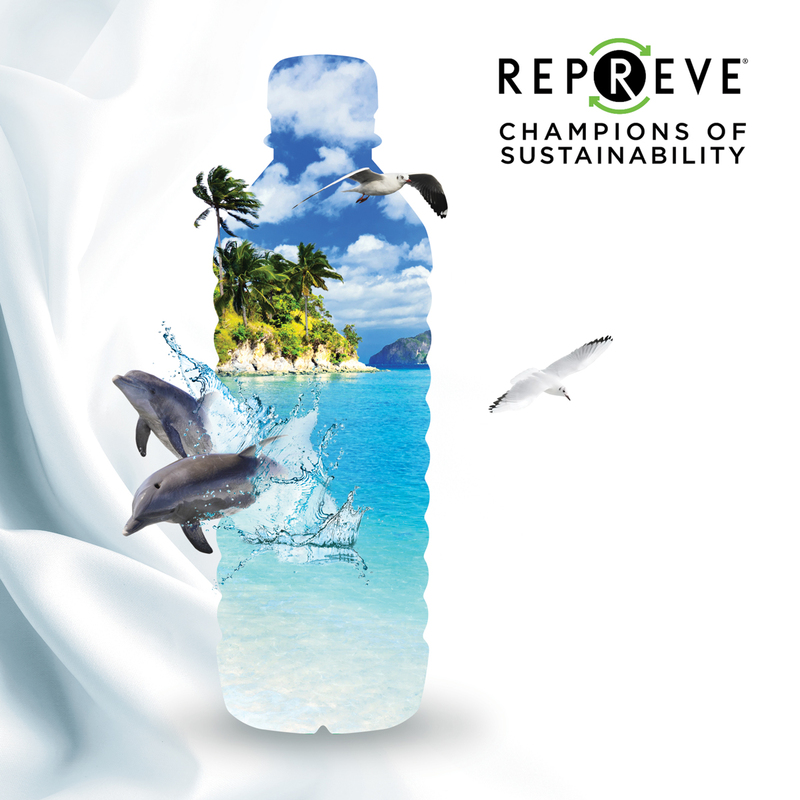 At this week’s Outdoor Retailer Snow Show, we’ll reveal the winners of our second annual REPREVE® Champions of Sustainability awards. From the more than 300 brands that we serve, we celebrate the forward-looking brands, retailers and textile partners who have helped us divert 14 billion plastic bottles from our land and oceans—by using REPREVE recycled performance fiber. By working with us toward their own bottle recycling milestones, these companies are using their scale and influence to be catalysts for change. This year, we will celebrate textile partners who are helping to make a difference: Several will receive a Partner in Innovation special category award—given to companies who created a product with REPREVE that is unique in the marketplace, or who used REPREVE in a unique, innovative way. Our Partners in Innovation allow Unifi to keep developing our capabilities globally, opening up opportunities for customers to bring sustainability and performance together wherever they do business. Kipas Mensucat Isletmeleri A.S. (Kahramanmaraş, Turkey), is an innovative maker of high-quality textile solutions. The company is being awarded for its strong commitment to protecting the planet in a socially responsible way, including investing in advanced blending and spinning capabilities for making REPREVE polyester spun yarns. “KIPAS is proud to collaborate with UAP to bring REPREVE spun yarn products to Turkey. We feel confident that this cooperation will serve and adequately supply the Turkish market with REPREVE, the certified and traceable recycled polyester staple fiber of choice,” said Mr. Halit Gumuser, managing director of Kipas Textiles Inc.
As our partner in a key textile manufacturing market, this solutions provider lives and breathes supply chain speed-to-market, developing a world-class infrastructure to give global customers ready access to REPREVE. “The Champions of Sustainability program helps us inspire designers, innovators, and textile insiders to recycle more, as it supports our own goal of recycling 30 billion bottles by 2022,” said Kevin Hall, CEO of Unifi. Another reason to celebrate: in the second year, we’ve added 18 new winners. Many of last year’s champions moved up from last year’s milestone to the next, significantly increasing their tally of bottles recycled, including: Adidas, Under Armour, Hanesbrands, PVH, Gap, Inc., and Williams Sonoma, Inc. Whether a mill creating the next generation of sustainable fabrics, an outdoor gear maker creating performance wear, or a fashion designer looking for versatility and good looks while reducing waste, all of our champions have one thing in common: they choose REPREVE, the world’s leading brand of recycled performance fiber, for the good of tomorrow. “There are mountains of plastic in our landfills. Every minute, a garbage truck load of plastic winds up in our oceans. And we realize that only by working together, will we tackle such a massive problem,” said Sahi. “When our champions win for recycling bottles into everyday products, the whole planet wins,” said Hall. This year’s REPREVE Champions of Sustainability will be announced by Unifi at the Outdoor Retailer Snow Show in Denver at the end of January. And let the celebrating begin. For more information, please visit Unifi at booth #54067-UL at the Outdoor Retailer Snow Show, being held Jan. 30-Feb. 1, 2019, at the Colorado Convention Center in Denver, CO.